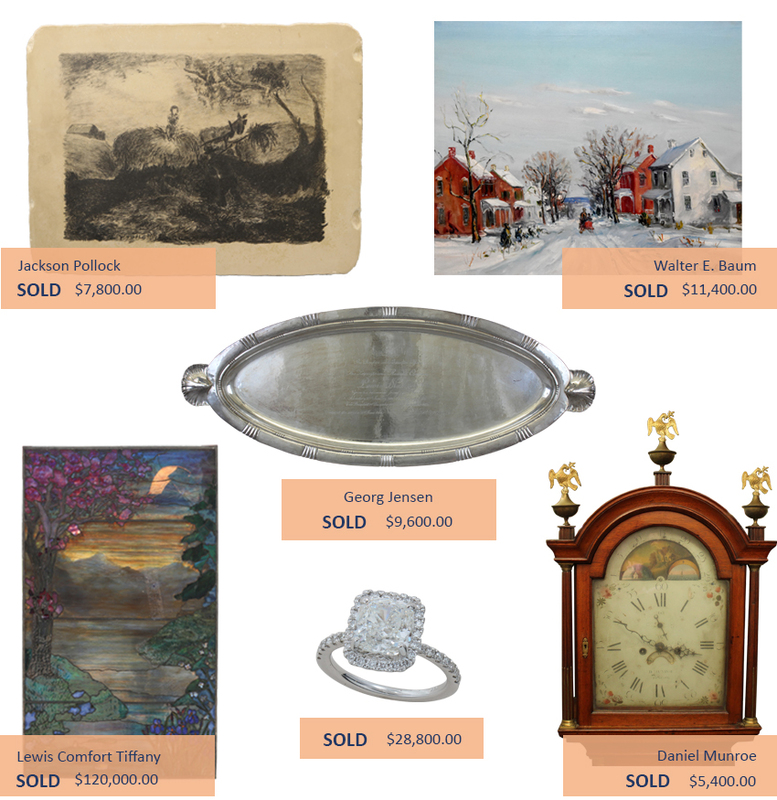 For over 25 years, Alderfer Auction has had a tradition of hosting “Fine and Decorative Arts” catalog auctions. For these events, a color illustrated printed catalog is produced featuring items vetted from collections, institutions and estates from around the US. Alderfer Auction has developed a long-standing reputation for bringing some of the finest works of art of the Pennsylvania Impressionists to the market. These works of art, along with American and European works, are common findings in this venue. Also, inclusive to this event, are Decorative works including fine porcelain, art glass, pottery and Americana Fine Period and quality stylized furniture of the 18, 19 and 20c, Persian carpets, sculpture and bronzes often complement the findings. Special features often added to the “Fine and Decorative Arts” catalog auctions, due to high interest and value, are Historical signatures, maps, 19c photography and ephemera. Jewelry and Luxury Gift auctions are popular features during these events. Alderfer Auction has brought some of the finest jewelry from private collections and estates to the market. These special events are “Simulcast” auctions. A simulcast auction is conducted In front of a live audience. During these events, each item presented in the auction, is also available for bidding in an online venue hosted by a third party provider such as www.liveauctioneers.com, www.invaluable.com, www.proxybid.com. While the auctioneer is receiving bids from an assembled audience, the auctioneer is also taking bids from bidders who are bidding online through the third-party provider(s) in real time or by advance bidding.